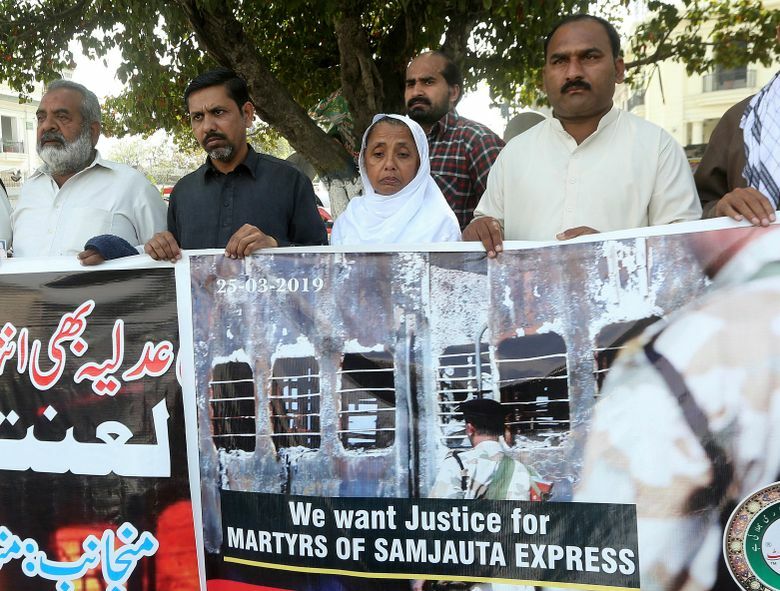 LAHORE, Pakistan (AP) — Family members of Pakistanis killed in an Indian train explosion are protesting an Indian court’s acquittal of four Hindus charged with triggering the blasts 12 years ago, which killed 68 passengers. 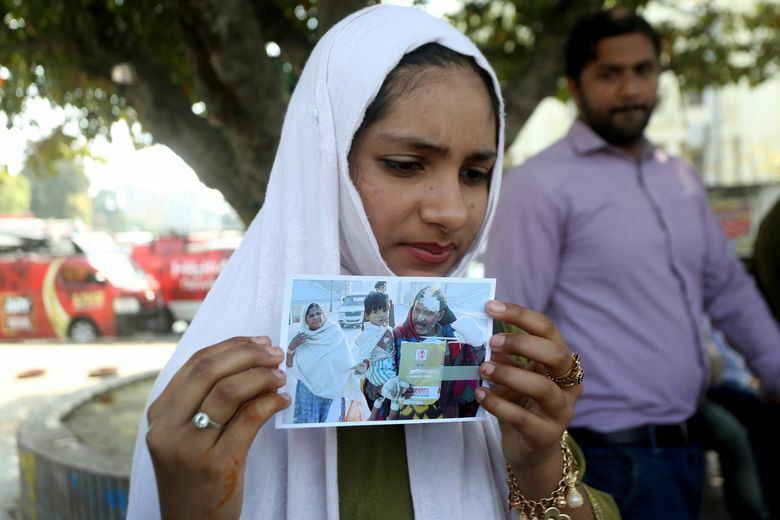 At a rally in the eastern city of Lahore on Monday, relatives chanted: “We want justice,” and called on Prime Minister Imran Khan to take the matter to the International Court of Justice. 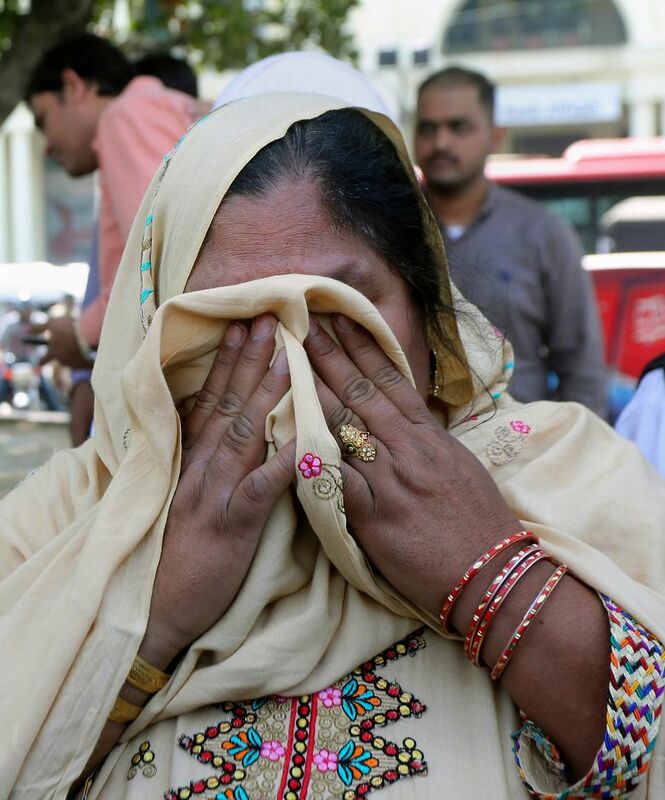 Last week, an Indian court ruled investigators had not conclusively proved that the accused were guilty. In 2007, two coaches of the Samjhauta Express, or Friendship Express, were engulfed in flames while traveling from New Delhi to Atari, the last station before the Pakistan border. Most of those killed were Pakistani citizens. Thousands of travelers use this train service each year.